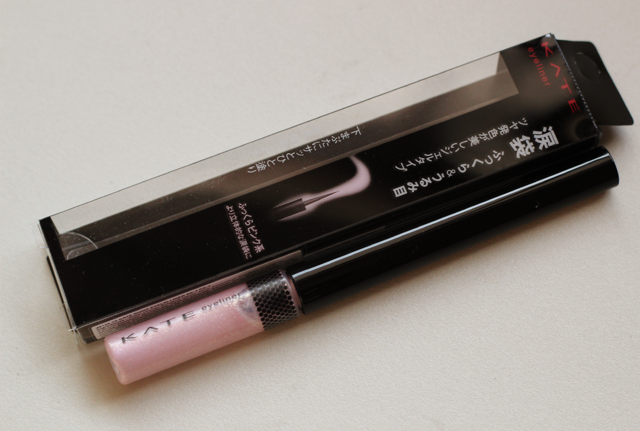 One of the main products in this year's Kate Cosmetics' Spring/ Summer Collection is the Shiny Eyelid Liners. 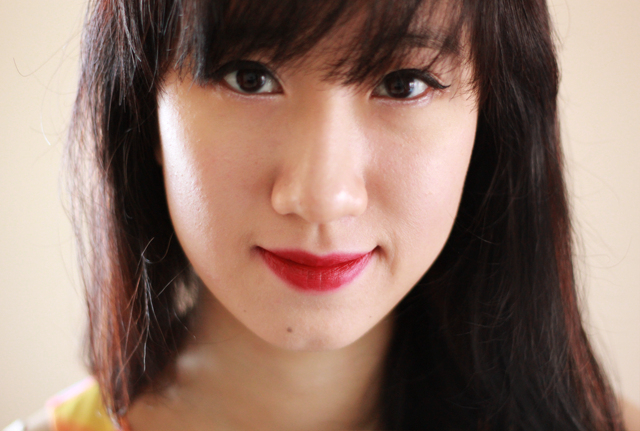 It comes in two shades; PK-1 Soft Pink for strongly contoured lower eyelids and BE-1 Smooth Beige for naturally full lower eyelids. 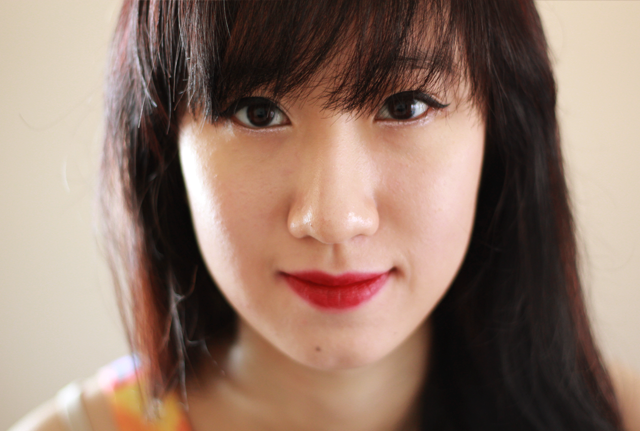 The not-so-recent but here-to-stay trend in Asian makeup is to have innocent, teary, puppy-like eyes and this liner helps you achieve that. It takes the form of a gel and is accompanied with a fine brush, which allows you to deposit just the right amount on your lower eyelids. 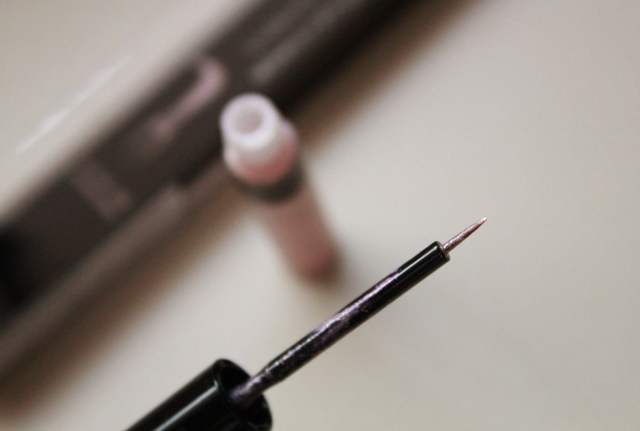 The brush is fine and dense, picking up just the right amount of liner. But I do think it is a little too soft to draw a thin fine line, especially for beginners. You need to be really careful and have relatively steady hands (Try resting your elbow on a desk!). My first try saw me with unsightly blobs of glittery tears. The liner takes a while to dry so don't worry too much if you made a mistake like me. All you need is a cotton bud to clean up the excess. 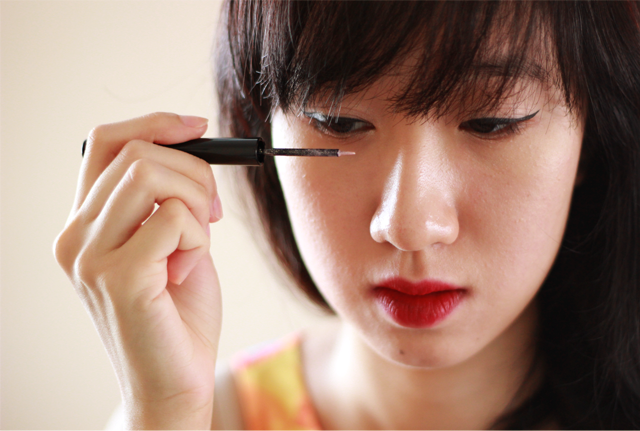 One tip is to hold the brush horizontally and just dab it across your lower eyelid, making dashes. This way, you won't be dragging the glitter across and you will get an even line.